Sushi is the star of the Sushi animation project. 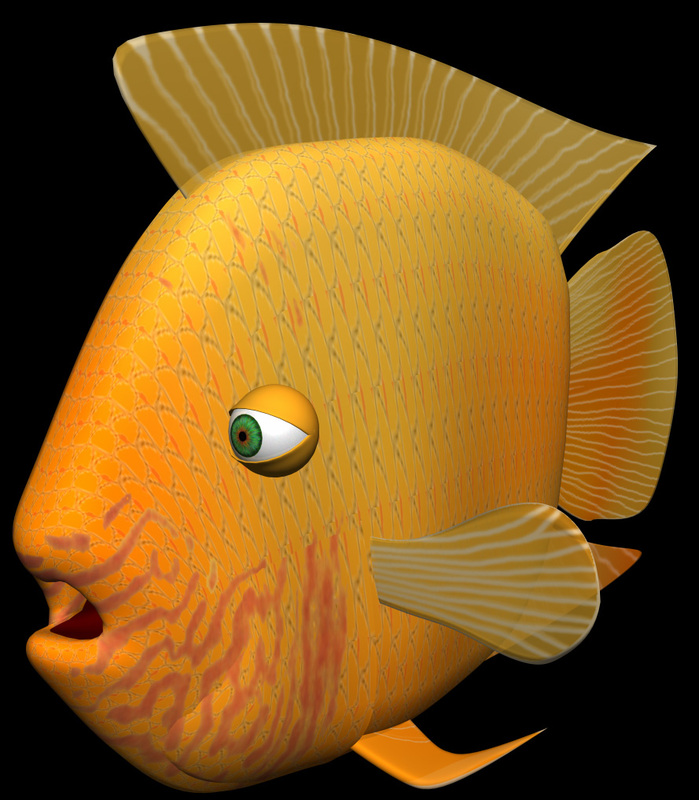 He is a male Gold Severum, modeled entirely in nurbs, and is set up for lip-synch, fluid fin motion, gill motion, tracking eyes, and blinking eyelids. The scale, fin and eye textures were all created from scratch in Photoshop, the facial pattern is a scanned image, though. The golden tint and irregularities were created with Softimages 3D texture engine.